What started out as two guys from the U.K. making high-quality videos of ordinary objects in super slow motion has turned into a smashing internet success. 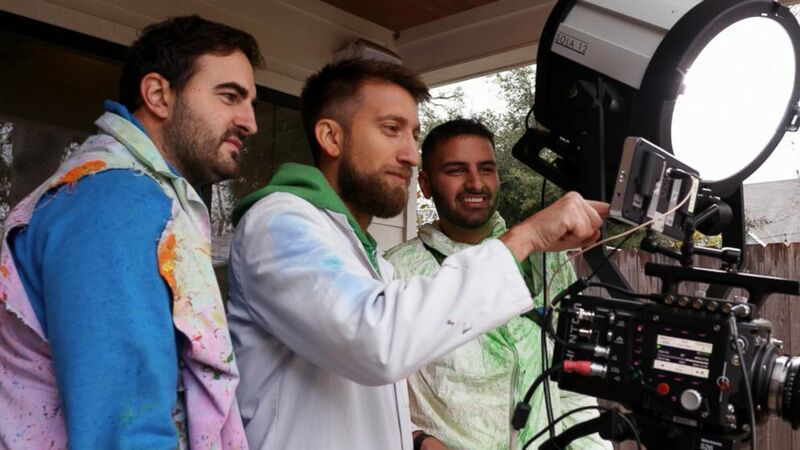 Gavin Free and Daniel Gruchy are better known as "The Slow Mo Guys," one of the most popular channels on YouTube with millions of subscribers and viewers who all eagerly watch their super slow motion science, tech and entertainment web series. 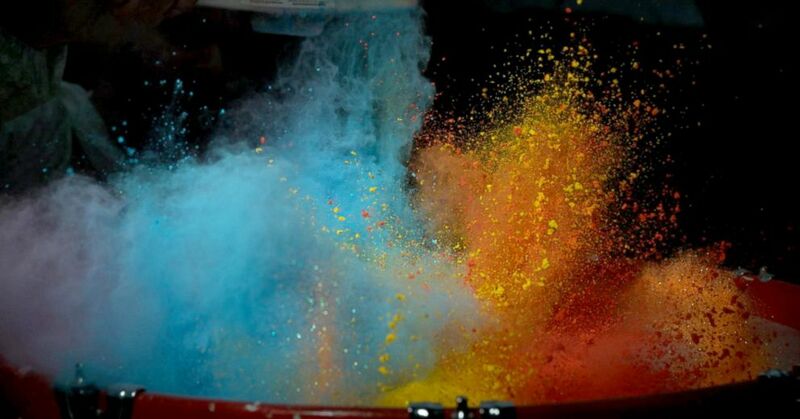 The Slow Mo Guys film every day objects like paint using super slow motion technology. Smashing things is what these guys do for a living -- famous for making unbelievable slow motion videos of pretty much anything you can think of, like putting rubber bands on a watermelon until it explodes, firing a gun underwater, hitting jello mid-air with a tennis racket or jumping on a mouse-trap covered trampoline. "We film a lot of stuff that just like, 'Oh, you see that every day,' but you've never seen it this slow, so then it's very shareable, and you don't necessarily even need to speak English to enjoy a balloon full of water popping," Free told ABC News. The duo capture movements frame-by-frame and show footage otherwise impossible to see with the naked eye with a rare phantom slow motion camera. The Slow Mo Guys show ABC News' Ashan Singh how they capture their simple yet stunning slow-motion videos. Free's Phantom Flex 4K camera, which is used to shoot movies, can cost around $150K and has shooting capabilities of thousands of frames per second. For example, filming just five seconds can result in 19 hours of footage. 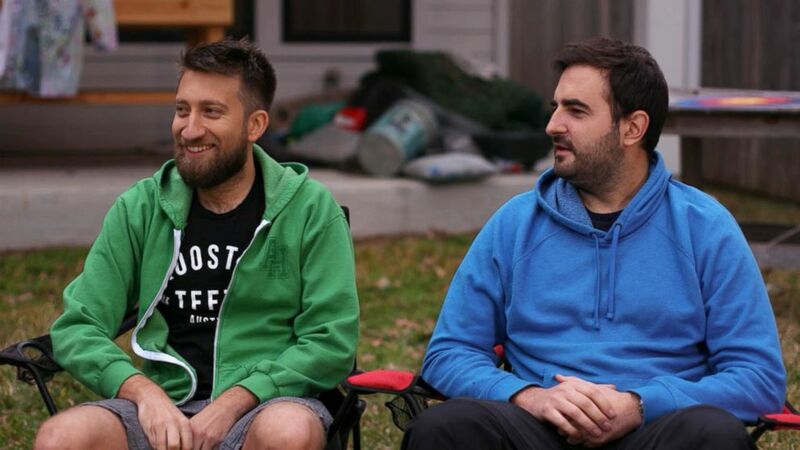 Gruchy and Free's stunts have racked up over 11 million subscribers on their YouTube channel. The duo has been around since the beginning of YouTube and now they are full-blown celebrities. When asked if he ever thought their stuff would get this much attention, Gruchy said, "Not this big." "Not when we first started," Free added. "There was no chance that I thought it was gonna get this big. Cause that was seven years ago-ish. These would be unheard of numbers." 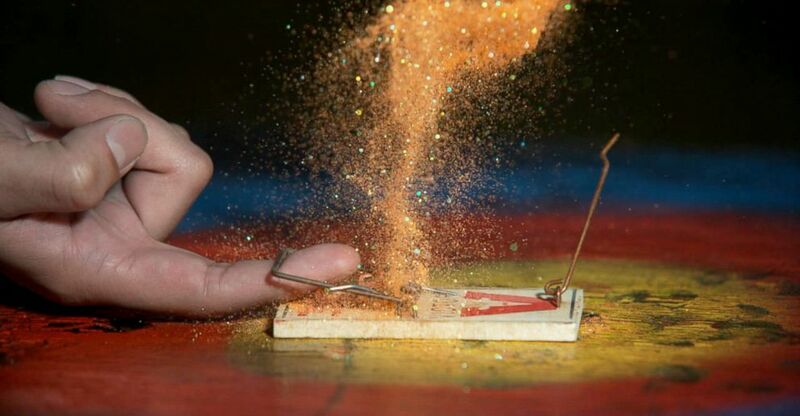 A mouse trap with glitter was captured on super slow motion camera when it snapped. At their small garage in Austin, Texas the pair have an endless stash of props that are gold for the Slow Mo Guys to use in their videos and of course "tubs of safety equipment." Gruchy said they have gloves, goggles, paint suits, heat shields, gas masks and flame-proof suits" just to name a few items. "I always wonder what the people at [store] check out think when we buy all the food coloring in the shop and an axe," Free said of their obscure errands. While popping a water balloon in slow motion looks cool, The Slow Mo Guys took it a step further in one of their first videos ever released. They filled up a giant 6-foot red water balloon and popped it together after jumping onto it like a giant bean bag. That video alone has garnered over 175 million views. "I think a bunch of our friends were like, 'Guys, you've got a million views on that video!'" Gruchy recalled. "[That] blew my mind." The Slow Mo Guys capture simple yet stunning slow-motion videos for their popular YouTube channel. It started out as two friends from England doing ordinary teenager activities. "We became good friends when we worked at the same supermarket and we bonded over video games," Free said. "From then we sort of became friends from there really." And as the cameraman Free, who said he has "always loved making videos," found Dan was the perfect wingman for the future Slow Mo Guys. "I sort of found Dan and I had the best banter on screen. So when it came time to start the Slow Mo Guys he was the clear choice," he said. "And I've regretted it ever since -- now I'm stuck with him," Free joked. Gruchy said when he landed the gig it felt like a "natural continuation from what was happening already." "So it was kind of like, 'Oh, I guess we're doing this thing now.'" And even for the riskier stunts, Free said Gruchy doesn't take too much convincing. "What happens is he would usually say, 'Oh, you should do this thing.' And I'll go, 'No, I'm not doing that.' And he'll go, 'Go on!'" Gruchy explained. "That's about as much [as it takes]." He continued, "But there's some things that I won't do because I'm sort of saying, 'I'm just not comfortable with that. That's not safe.'" ABC News' Ashan Singh gets hit in the face with The Slow Mo Guys water balloon on assignment for Nightline. Free said the pair "always talk about it a lot before" and have contingencies. "There's always a fire extinguisher nearby. We're always wearing safety goggles," he explained. As a teen, Free lived in the U.K. and he worked with a guy who had the only two phantom cameras in the country at the time. "I realized I was 17 or 18 years old with access to this super expensive, super rare camera and that put us at a nice advantage," Free explained. "No one of our age could goof around with these cameras, it was really unique." "So I thought, 'If I can start a YouTube channel and get well-known for that, that might be a way in,'" he added. Now, after eight years, the pair has been sponsored to produce content for their YouTube originals series the "Super Slow Show." "Thankfully due to our audience, our very loyal audience, we're able to do a lot of work with brands, so they'll sponsor a video," Free said, adding that they have worked with about 20 different companies. "And they basically pay us to make a video, and from that, we can then fund other videos." Even though they create lots of content, it's a cross country production that they shoot together only about four times a year. "A lot of other creators were pretty surprised to find out that we didn't do it full-time," Free said. "It kinda still feels like a hobby, instead of making it our job." But the pair said they enjoy their craft as much as the day they started. "Hitting people you've just met for the first time in a day in the face with stuff, I don't think it gets old," Free said.